Property 4: Large Terraced House In Porthmadog with central heating and internet. Property 5: July bargains available - ask for details. Super seafront house. Pet-friendly. Property 6: Large warm modern Harlech house With Sun Terrace above Harlech Castle itself. Light and airy house with large garden near the beach. Perfect for relaxing. Property 8: Light and airy house with large garden near the beach. Perfect for relaxing. Beudy Bach is a small cottage at the foot of Moel Hebog. 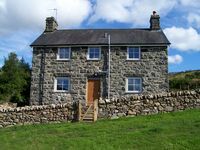 Property 26: Beudy Bach is a small cottage at the foot of Moel Hebog.